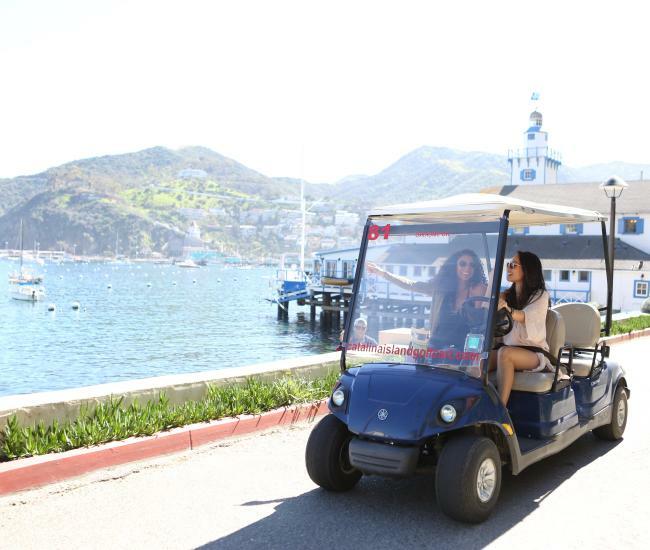 Nearly a century ago, visionary businessman and chewing gum magnet William Wrigley, Jr. had one of his many innovative ideas for promoting Catalina Island, which he was developing as a resort destination. Wrigley offered $25,000 to the winner of a swimming race between Santa Catalina and the mainland. Trumpeted far and wide in 1926, the generous prize captured the imagination of the country, which cheered on the more than 100 intrepid swimmers who competed in the Wrigley Ocean Marathon. George Young was the winner – and only finisher – on that cold January day in 1927, but he has been far from the only athlete to swim the channel between Catalina and the mainland. Hundreds of elite athletes have completed the challenge, with most swimming from the island to the mainland overnight. Swimming the Catalina Channel is usually attempted in the late summer and early fall, when the water is warmer. Hundreds of swimmers also take the plunge together each November, but these athletes won’t be swimming to the mainland. The Catalina Triathlon kicks off Nov. 4 with a half-mile swim around the green Pleasure Pier in Avalon, followed by a 17K bike ride and a 3.1 mile run. Held for 33 years, the Catalina Triathlon is just one of many endurance races on Catalina. 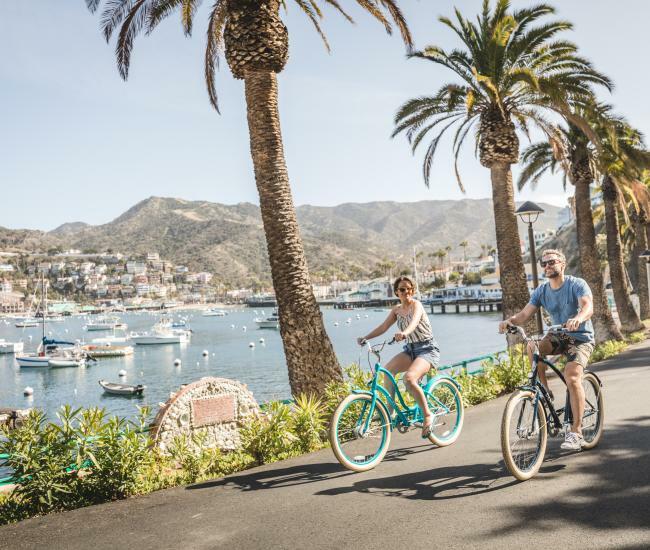 Catalina Duathlon and 5K – Held in conjunction with the Catalina Triathlon, the Duathlon is a 5K run, followed by a 17K bike race and another 5K race. Like the Catalina Triathlon, the duathlon can be completed by individuals or teams. 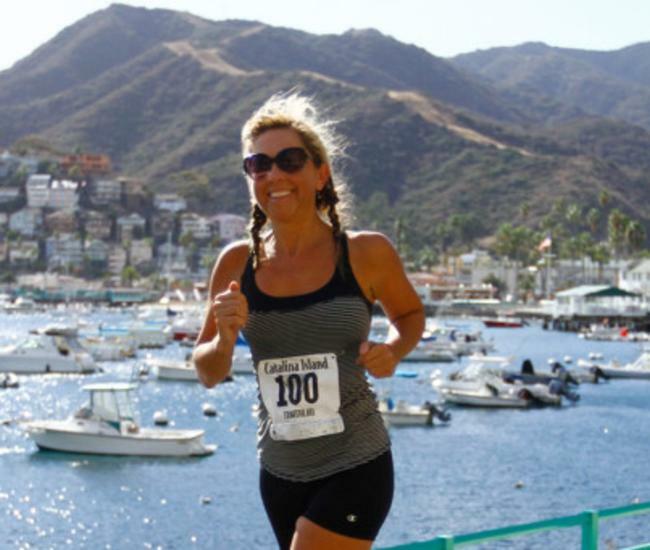 Another 3.1 mile race will be run and walked Nov. 4 during the Catalina Island 5K, which welcomes racers and walkers alike. Two weeks after the Catalina Triathlon, on Nov. 18, the Catalina Trail Venture Weekend brings a marathon, half marathon and 10K. The Catalina races take runners into the interior of the island, where along with challenging terrain, they will experience spectacular views and unique wildlife. Attracting endurance runners from around the world, this challenging course takes athletes from Avalon through the hills and rugged terrain of the interior to Two Harbors – and back. Last year race organizers added a 50K option, which shortens the course by about 20 miles. Whichever course runners choose, they will traverse the backcountry of Catalina Island, encountering bison, foxes and eagles as well as some dramatic elevation changes. 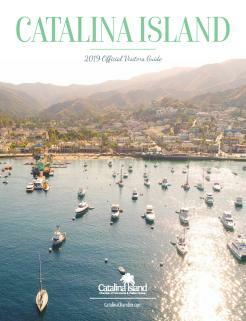 This year’s Catalina race will be held Jan. 20. This prestigious race has been held for more than four decades and is in many marathoners’ bucket list as a must-complete race. 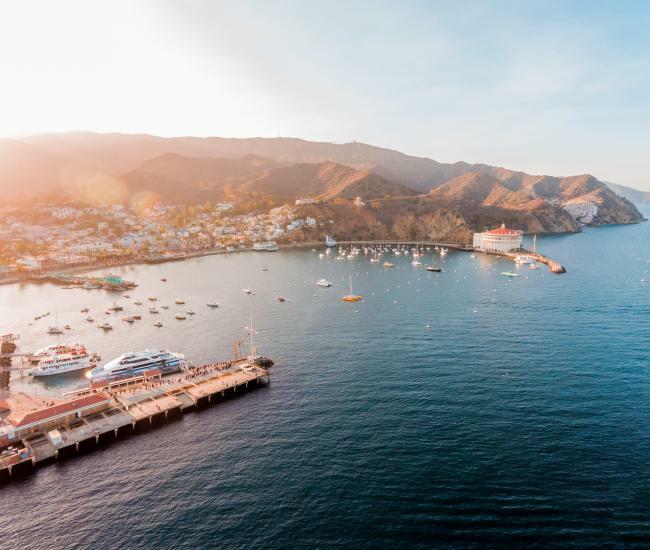 Starting at Cat Harbor, at Two Harbors, this race takes Catalina runners to some of the highest peaks on the island and showcases some of Catalina’s best views. The Catalina marathon finishes in Avalon, with the course record just until two hours and 40 minutes. Also on March 10, athletes will be able to challenge themselves on a 10K and 5K course out of Avalon. All of the races and runs on Catalina Island raise funds for various charities and racers are supporters at a number of aid stations staffed by volunteers. Those aid stations offer water, snacks, support and, if needed, can help injured or exhausted runners get medical attention.